A classic late 20th century. 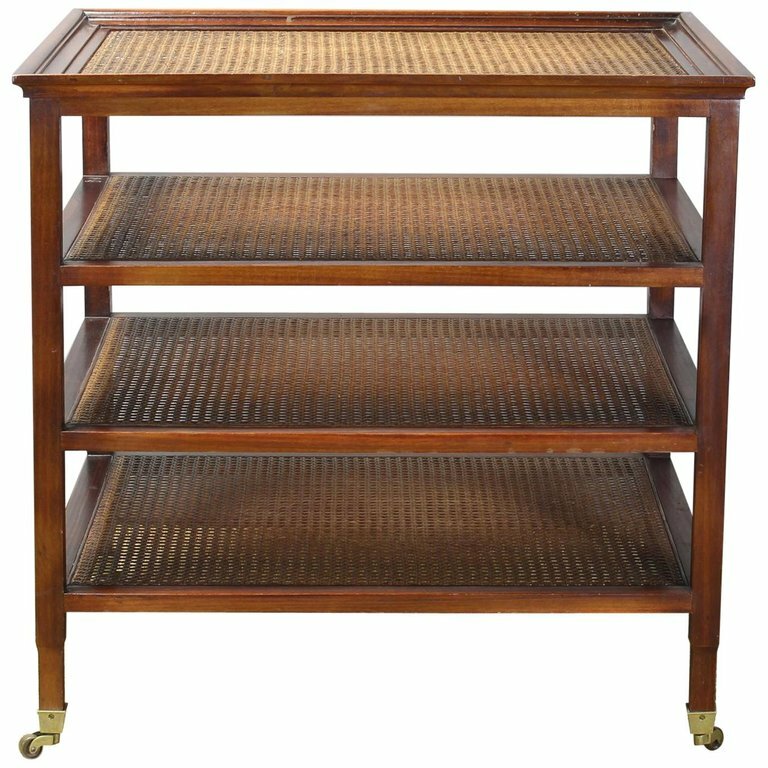 4-tier mahogany étagère side table with cane shelving inset with glass top. The square tapered legs terminate into brass casters.